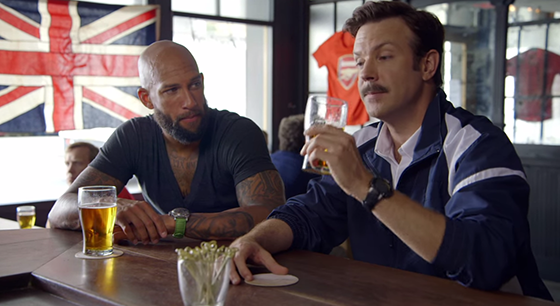 You might remember those great NBC spots featuring former Tottenham Hotspur coach, and all american boy, Ted Lasso – Jason Sudakis. With less than a week from the 2014 Premier League kick-off, Coach Lasso is back, this time as a guest on NBC Sports and coaching a new, middle eastern airline sponsored girls’ little league team – for now. 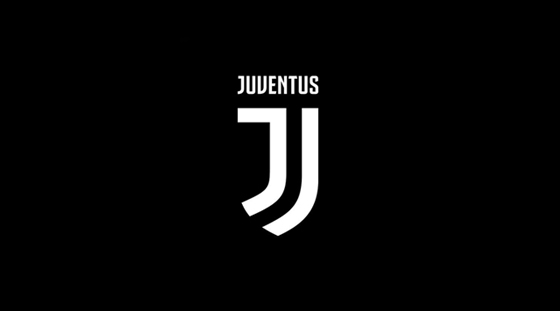 Since many of us are suffering from World Cup withdrawals, I’ll continue to post football-related articles every now and then as we smoothly switch back to ‘normal’ mode. Today I want to post the stunning and hypnotic portraits of self-taught illustrator Heather Rooney. 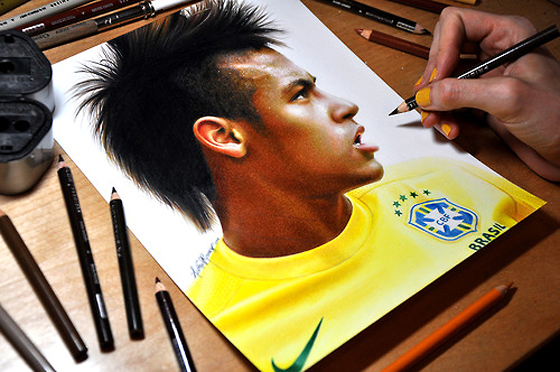 I saw a couple of heather’s photo-realistic portrait videos during the World Cup, featuring players like Neymar, Ronaldo, Messi, Dempsey, and Rooney – as well as celebrities like Jennifer Lawrence, Paul Walker, Dwyane Wade – and I had to share them! Enjoy. 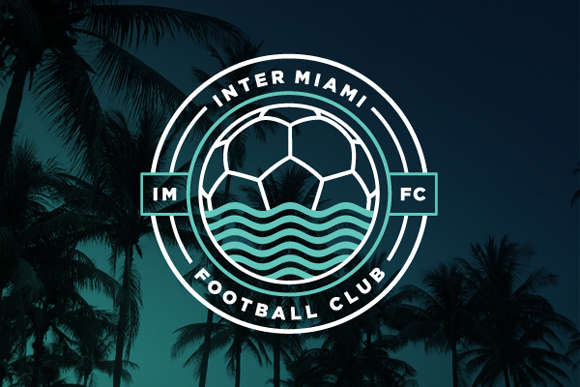 Whether you like soccer or not, you can’t escape it this summer. 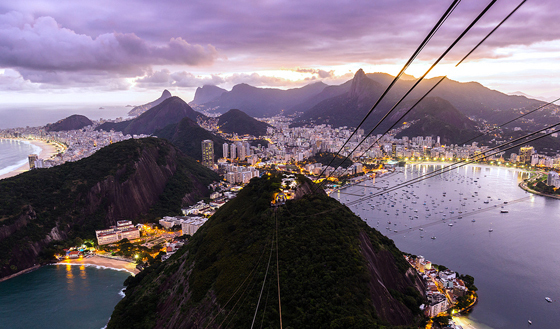 The World Cup has taken over and that’s a good thing – Hey! It’s only every four years so cut us some slack!. What I do know most of you enjoy is good TV series. So, what if we combine one of the most popular and successful series right now and the World Cup? Spanish Designer, Nerea Palacios did, and the result is pretty impressive. 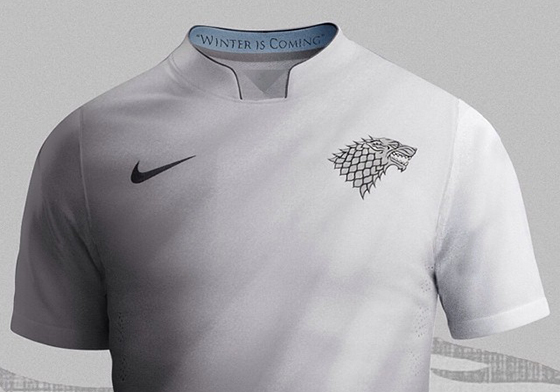 Inspired by HBO’s Game of Thrones, Nerea created complete soccer kits for the major houses of Westeros. Check them out after the jump! Today is an important day for US Soccer. Not because we play Belgium or because we all get to proudly wear our jerseys and flags. Because today we have the chance to make history by advancing to quarter finals, and by doing so, awakening those few last souls who still wrongfully think ’soccer’ is a hobby. This could be that pivotal point, when the US finally adopts and supports fully (not only every four years) this beautiful sport :) And if we don’t advance, we’ll keep trying. That’s what makes it interesting. I BELIEVE!!! Whether you are stressed or bored, nothing beats the joy of riding your motorcycle and exploring nature. At least that’s what I’ve heard, because I’m not a biker. So, what happens when you are famous and living in the spotlight like David Beckham, and you want to have some alone time to refresh and reconnect? 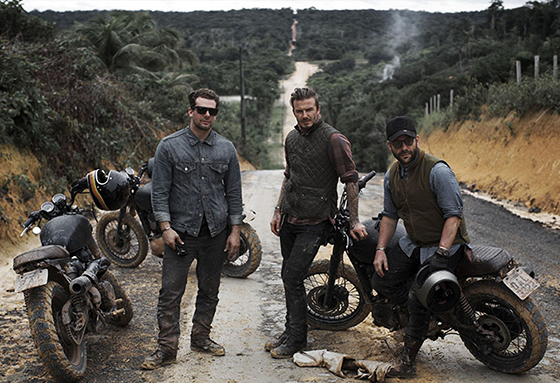 Well, Becks decided to travel to Brasil (rainforest, to be specific) with a couple of his best friends, their Triumph bikes and cameras, to document their adventure and to show-off how he can still manage to look cool and hot (my wife’s words) even in the middle of a muddy jungle. Check out his documentary on Showtime. The day is finally here for the US as we face Ghana (again). And although we’ll be cheering and supporting our boys, we can’t help it… we’ll miss Donovan! – This better work Klinsmann… Donovan has always been the heart and soul of this team, not to mention, the most talented player we’ve ever had. But what I like most, is that he’s a cool dude, and based on his latest ads, he seems to be handling his stay pretty well… Let’s go USA! Yesterday we enjoyed a lovely spot by Beats, and although a lot of people were unsure if it had triumph or gained more attention than Nike’s original World Cup mini-film “Winner Stays” (HERE) there’s one unspoken law in advertising. Never, never underestimate Nike. As part of their Risk Everything campaign, Nike dropped a new mini-film, this time animated, featuring iconic players like Neymar, Cristiano Ronaldo, Ibrahimovic, Rooney, Iniesta, Howard, Ribery, and the one player that started it all, Ronaldo. 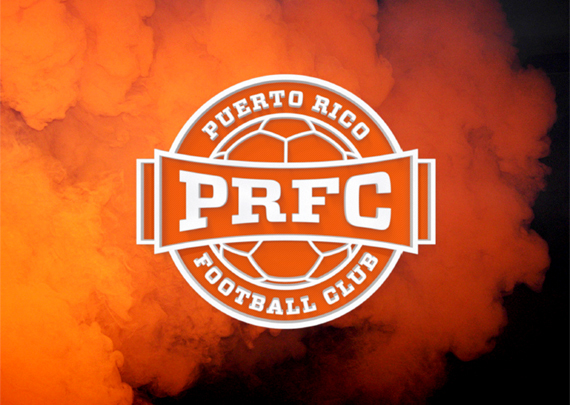 Check out the lovely film as we’re only 2 days away from initial kick-off! 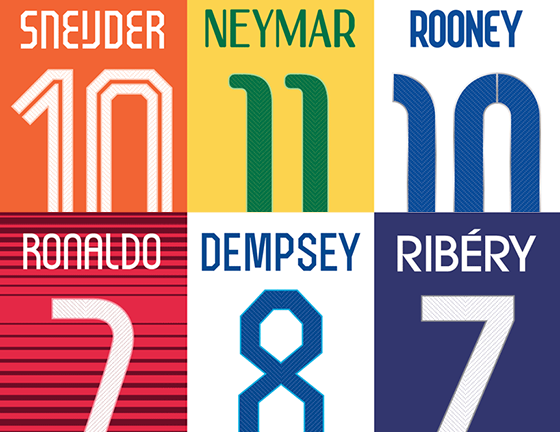 The World Cup is almost here! 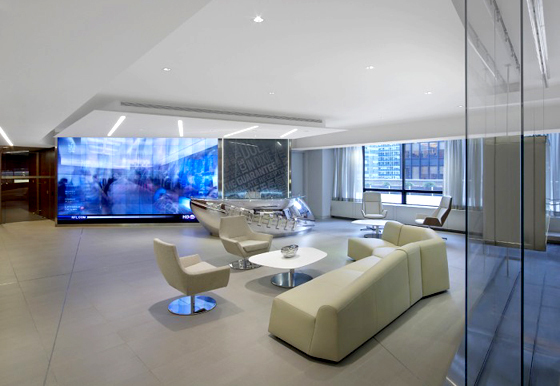 (44 days if you want to get specific) and as you can imagine, beautiful and exciting ad spots are appearing everywhere daily. I mean, when it comes to advertising and promotion, you can’t really escape a phenomenon like this (Unless you live in the US), and that is a great thing! And when you think of great campaigns and spots, NIKE always manages to stay on top of the game with impressive and brilliantly executed ideas. The theme and campaign for this World Cup is Risk Everything, and its latest ad, featuring players like Ronaldo, Neymar, Ibrahimovic, Rooney, Higuain, Howard, Pirlo, Iniesta, and a couple more is pure magic as it takes you back to school days games (You know you and your friends always personified your favorite players). Check out more videos after the jump! 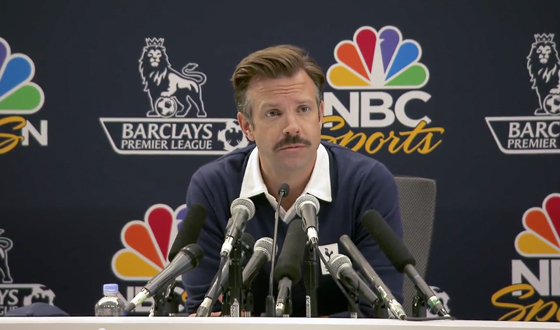 By now, I am sure most of you have seen NBC Sports’ ad featuring Jason Sudeikis as the new head coach for the Tottenham Spurs. 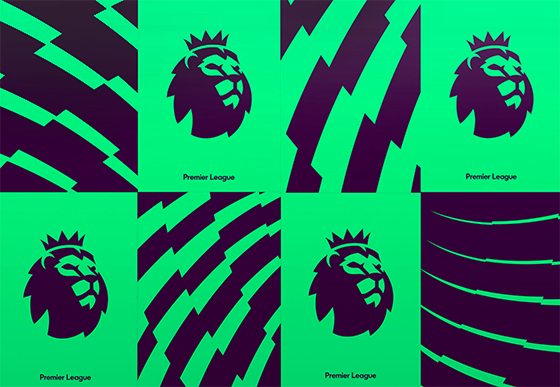 It advertises NBC’s coverage of the Premier League (HELL YEAH!) and to put it simple… it’s great! It’s funny, relevant, viral, makes fun of everybody and yes, it features one of my current favorite comedians – Plus, he’s dating Olivia Wilde! Check out the ad if you haven’t yet and enjoy some great behind the scenes footage. 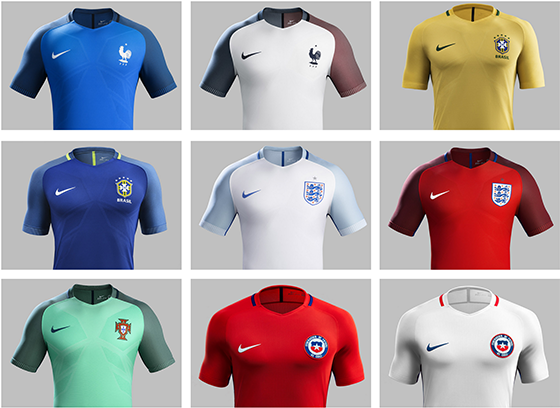 Last year, we enjoyed a well executed and entertaining project combining NFL teams and soccer jerseys NFL Soccer Jerseys and many of you enjoyed it. So, if you are into sports and crazy ideas… I got a treat for you! 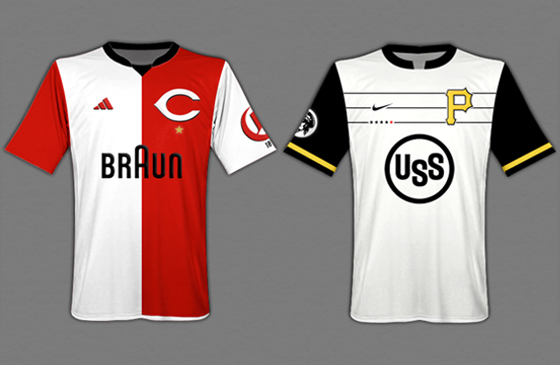 Boston based Designer, Mark Willis created a collection of uniforms combining two of my favorite passions… Soccer and Design. (In case you were thinking I was going to say Baseball…) His collection features a soccer-ized version of many Major League Baseball teams’ based on their team colors, logos, and of course… sponsors. Check them out after the jump! As many of you know, the 2012 Poland and Ukraine hosted Euro Cup is currently going on and has already provided a few exciting matches (and upsets). Now, since the first round of matches is over and we have a no-game rest day, I thought it would be nice of me to share some Euro 2012 photos. And no, I’m not talking about stats or games, I’m talking about beautiful European football fans :) I am not sure when or where this idea of photographing and sharing female fans at tournaments like Euro or World Cups started but… you are welcome.